“Journalist and policy analyst Chideya tackles how to survive in a time of broadening inequality and dwindling job market prospects…The Episodic Career is part policy summary, part journalistic narration, part self-help book” (The Guardian). 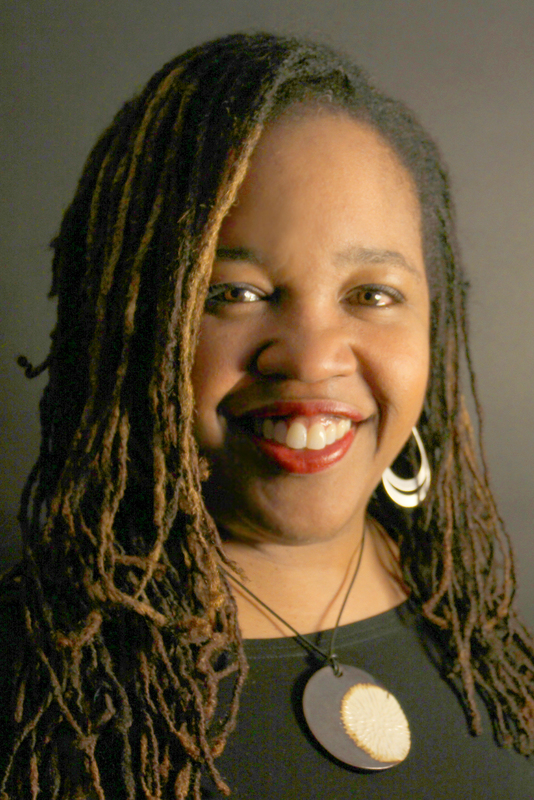 Award-winning author Farai Chideya provides a “must-read for anyone seeking to navigate the new world of work” (bestselling author Daniel Pink) in this “smart and savvy” (Publishers Weekly), clear and accessible guide to finding your best, most fulfilling work in an age of rapid disruption. Understanding how America is working (and not working) is a critical first step to finding your best place in the employment world. Chideya brings her extensive research and her own solutions to work/life balance in The Episodic Career, an accessible manual to help you chart your course in the workplace, use your skills, and find your “sweet spot” within the variety of independent and corporate work structures today. The Episodic Career is a powerful new tool for determining success on your own terms. “Numerous interesting stories about people in a wide range of careers…are woven through this well-written book, which has at its center a Work/Life Matrix that… will help you ‘Know yourself, set your goals, play by your own rules’” (BookPage). WORK IS THE linchpin of American life. We work the longest hours among the biggest developed economies in the world, having outstripped most European nations and Japan, among others. Sure, we complain about not getting enough time off—yet collectively we left 577 million earned vacation days unused in 2013.1 Many of us are anxious, worried that if we don’t work those extra hours, someone else at our job will and win favor for doing so. We also worry that we won’t have enough to make ends meet. That’s real. But there’s also an emotional and even national component to what some people call a strong work ethic and others call the rat race. In America, work is not just a means of earning a living but also a form of self-definition and a cultural obsession. If you were to walk into a cocktail party in Paris and, right after being introduced to a stranger, ask, “Qu’est-ce que vous faites comme travail?”—“What do you do for work?”—it would be considered très désagréable. Yet in many parts of America, that’s our opening gambit. Why? We see jobs as the human equivalent of computer data meta tags; ways to neatly sort people and decide if they’re valuable or desirable to us. If you’re single, hearing doctor might make you think “Good catch!” If you’re a job seeker, you might be focused on meeting someone in your field and head to the other corner of the room to see who else is more useful. That’s natural, at least in our culture. Still, after my own career ups and downs, as well as our nation’s job crises, I’ve become less likely to judge someone based on current or past employment. I definitely don’t presume to know whether he or she is happy or not. “The pursuit of happiness” is written into the founding documents of our nation. Yet our society puts so much emphasis on work and money as the cornerstones of our dreams that many people imagine that happiness is a luxury they can’t afford. (Think of those millions of unused vacation days.) A focus on success by the numbers can undermine the satisfaction that we might gain from a more balanced workstyle. This book is divided into four parts. In the first, I lay out the landscape of American jobs present, past, and future. You might find this edifying, terrifying, or tedious (if the latter, bear with me—this is crucial). There’s no way we can figure out how to plot and navigate our course without good landmarks. In the second section, you get to explore your own desires with a self-diagnostic tool, the Work/Life Matrix. It will give you greater insights into how you want to use your skills and how you want to position yourself within a corporate or independent work structure. You’ll take a simple quiz about your desired workstyle and then get to see how people who fit different patterns and archetypes based on the answers succeed. This storytelling-rich center of the book allows you to learn from others’ hard-won wisdom. You’ll see how different people have navigated their careers; overcome family and cultural programming that no longer suited them; or forged their own paths even in times of hardship. Part three looks at some of the hard decisions that require us to blend head and heart. How do we connect our intellectual knowledge with our intuitive, soulful knowledge? (The Work/Life Matrix will help.) This section covers issues such as the critical role of emotional resilience—that is, how to bounce back from hard times—a skill that you can learn and cultivate. We’ll also look at questions such as when job retraining or additional higher education is worthwhile and when it’s a potential waste of money and time. Finally, part four examines success, both on your own individual terms and how we can build healthy employment options for America as a whole. Throughout this book, I’ll also speak frankly of the challenges that different demographics face, including employment discrimination. The idea of a modern labor market, with a reasonable degree of protection for people of all races and sexes (though not yet for gay and lesbian Americans on the federal level) is only a few decades old. America’s roots include inspiration as well as exploitation. “The pursuit of happiness” wasn’t designed for all. One of the big questions facing this country is whether, in a time of rising income inequality, we can sustain the American Dream. While we focus on the ways that you can maximize your position in the US workforce, we also have to acknowledge frankly the systemic challenges and look at ways that individuals as well as groups can confront them. Let’s start, though, with that vast territory held within our minds and memories. We each bring to any situation a set of expectations about how things should be and how things could be. Those expectations can cloud our ability to see clearly, evaluate our options, and make the best decisions. Even jobs we love—perhaps especially jobs we love—can break our hearts. So let me share one of my own stories from a career that has taken me to Nelson Mandela’s house and onto Air Force One but has also tested my limits of endurance and sometimes my finances. I share here for a reason—because I want you to see that I approach the topic of careers and society not just from an intellectual perspective but also from a human perspective. A few years ago, I was totally ambushed and sabotaged on the job by someone who should have been my strongest ally. She worked me senseless, burned me out, and knew every button to push to make me feel angry or sad or defeated. Yet today I feel nothing but compassion for her. Of course, that woman was me. September 2006: I had just become the host of the NPR show News and Notes, a daily live program encompassing African American issues as well as digital community, national politics, arts, and culture. It was such an honor, and the connection I felt to the audience is still one of the highlights of my career. News and Notes had been hosted from the East Coast originally, but since I was out west, taking the host seat initially required waking up at three in the morning Pacific time. Then, after writing and reading through scripts and adding the latest news to the rundown, I had to be lucid at six to talk to hundreds of thousands of public radio listeners. It was the second time in my career that I had unexpectedly gone from reporter to host. Although I was thrilled, I didn’t anticipate how profoundly the sleep deprivation and pressure of daily production would affect my body, down to what foods I craved. My routine changed entirely. Instead of going to see a band or cooking dinner with friends in the evening, I ended my weekdays mindlessly shoving food into my mouth. I remember standing late one night outside Ralphs supermarket in Culver City, a municipal peninsula surrounded by the vast sprawl of LA. It was dark, and the cool night air was a good forty degrees warmer than winter back east where I’d grown up. I was clutching a plastic bag filled with red velvet cupcakes, my drug of choice. And I didn’t even like sugar—or so I thought, until my crazy work schedule upended my life. My first seven months as a host, I worked from four in the morning until one in the afternoon. I’d been dating a guy. I’d be lying if I said we were serious, but he was great: a creative professional and loving dad whom I’d met at a conference. Heck, my mother, visiting from Baltimore, had even met him and his daughter. My regular shift had bonus midafternoon pretapes plus “homework”: hours of daily interview prep (including reading up to three books a week). Now catch this: the man I was seeing worked from three to eleven at night at a film production company. And he had his daughter on weekends. So with our schedule mismatch, it’s no surprise the wheels fell off that bus, which left me dating Red—Red Velvet, that is. Red was as seductive as a bad college boyfriend; the kind you know is lifting you up just to watch you fall down. I’d been a stress-driven eater since childhood, but the sleep deprivation changed my patterns from salty-fatty (like mixed nuts or cheese) to sugars. I used the sugar rush as fuel for doing my radio homework, but I had to be in bed by nine. Early bedtime was so not my style. I started working at Newsweek magazine full-time the summer after graduation, right before I turned twenty-one. I became a fact-checker by day, club kid by night, and went to bed at three in the morning. So going to bed at nine o’clock in LA made me bitter. Another part of the job I had a hard time accepting was not being in the field—that is, traveling to interview real people with amazing, fresh stories. After joining NPR, my first job as chief correspondent and backup host at News and Notes gave me some great opportunities to see the country and tell our stories. In 2005 I covered Hurricane Katrina and its heartbreaking aftermath, and also filed a series of feature stories while driving cross-country. The downside of becoming host was not just the hours (which after several months shifted to a more reasonable start time) but also being lashed to my desk. Instead of making peace with the pros and cons of my job, or leaving, I literally swallowed my resentments in sugar form. I gained forty pounds in the four years I worked at NPR, which I am still working off. That certainly wasn’t the company’s fault. I haven’t heard of a job yet that doesn’t have potential for stress. In my case, I had to help lead coworkers through editorial and emotional changes, as we lost staff positions and worked for more than a year under rumors that the show might be canceled. In 2009 it ultimately became part of a Great Recession wave of cancelations that took out three NPR shows and dozens of staffers. After the cancelation, I knew I needed to spend some time getting healthier. Yet I didn’t understand until I began researching this book how harmful on-the-job stress is to your physical and mental health. Stress even explained the biological basis of my food cravings. Once I moved back to New York in 2009, I found a new physician, Dr. Roberta Lee, who’d authored The SuperStress Solution. In it, she wrote of the recent emergence in many developing countries of the same stress- and diet-related illnesses that Westerners have long experienced, such as obesity, diabetes, insomnia, and heart disease. “Chronic job stress is as bad for you as smoking a pack of cigarettes a day,” Dr. Lee told me. “Your cortisol level rises, and your body goes into fight-or-flight mode.” Cortisol is a steroid hormone that our bodies produce in reaction to stress. It’s a normal part of our physiology, and when we need it as a “spot treatment,” it can be beneficial, giving us energy. But prolonged stress and cortisol production can weaken our immune system, making it harder to recover from illness and injury. Excess, prolonged cortisol also increases our chances of developing osteoporosis, or bone loss, and it can even impair memory. Sadly, people under extreme job stress sometimes make irrational decisions. Unemployment and job stress are linked to depression, substance abuse, marital problems, and many other difficulties that can destroy lives and families. In July 2015 I ran into a friend at a Maryland arts festival. He told me that a man he knew had just killed his two sons and then committed suicide, despondent after losing his temporary job after years of unemployment. The next day, I read about the incident in the newspaper, and saw photographs of the heartbroken friends and relatives grieving the tragedy. Thankfully, incidents like this are extremely rare, but depression and health problems are common. In a 2015 nationally weighted survey for this book that I conducted, 61 percent of respondents agreed with the statement “At times I have sacrificed my health and wellness for my job.” In truth, stress is always gunning for us. We have to decide how we can mitigate it, or if we simply need to choose a different job or workplace. I thought about searching for a new job when the strain of hosting a show that was clearly on the chopping block proved more than I could handle gracefully. But a voice in the back of my head said, “Good employees fight for their team! Leaving would be a betrayal of everyone on the show! And it would show you’re not tough enough to mount a proper fight!” Some of that was my own ego and pride, and some was my family programming. With parents and elders who were independent African Americans on my maternal side, and strivers raised in apartheid-like Rhodesia (now Zimbabwe) on the other, we as a family are not quitters. I was able to go to Harvard University and have a career because I was supported by my ancestors—the ones still alive, the ones I knew as a child, and the ones who fought for freedom and independence before I was born. I believed at the time that leaving my job would betray my family’s values. Once the show was actually canceled, however, I learned that our team’s loss was part of a much bigger fiscal picture, both for the company and for the nation in its Great Recession. Three shows ultimately were canceled as part of the overall budget readjustments, all of them based in locations other than the DC headquarters. Like so many people do, I overpersonalized the systemic issues at my company and made the mistake of thinking that championing my own well-being was somehow disloyal to others. Not everyone will experience the same direct linkages between vision and action as Barry Johnson does, but writing exercises are a powerful way to explore your own heart and desires. Scripting what you envision for your life can be a powerful—and sometimes surprising—way of tapping into your most deeply held feelings. You might not want to write a page or a note card every day, but consider taking a week to write this type of envisioning-the-future every day. Are you writing more about the details of a job you want to have, or do you find yourself drawn to broad ideas about moving into a new field or even a new workstyle? For example:“I work doing commercial gardening four hours a day, which keeps me in great physical shape even though it’s hard; and two days a week, I work for the catering company. This gives me enough time to spend with my family most of the week.” When you look at your note cards, do your dreams seem too small? Too unrealistic? If the latter, what can you do to envision a series of steps between what you’re doing now and your desired workstyle? Learning to focus not just on work but also on workstyle—how work and pay and time spent on the job integrate into your life—is something you can do with a variety of tools, including ones found both in traditional job search guides and in creativity programs such as the book The Artist’s Way: A Spiritual Path to Higher Creativity, by Julia Cameron. Some people plan through calendars and spreadsheets, knowing the timetables will inevitably change. Others use artwork as a way of visualizing the life they want. Whether you are methodical and have a five-year plan or you want to see where the winds of change take you, it’s important to stay in touch with what you envision as well as the realities of day-to-day life. In the resource section of this book, you’ll find lists of works that lead you through visioning-as-planning, and how that can help you identify true happiness and fulfillment. The pursuit of happiness and life/work synergy is vulnerable to your hidden agendas—particularly internal clashes of values, such as “Obey thy parents” versus “To thine own self be true.” Elaine Chen works in corporate marketing communications, which requires learning new digital technology platforms and having managerial skills. She also earned a law degree primarily to please her parents, scientists who immigrated to the United States from China. Like her older sister, she was admitted to Harvard. Her mother and father made it clear that their support of her education was based on her pursuing a traditional high-status, high-skill trade. Liberal arts alone would not cut it. I went to Rutgers Law School at night and it was ridiculously hard to get into back then . . .
Of those 30 kids, only three of us should have been lawyers . . .
A random survey shows they think it is an okay way to make a living, but with the exception of Rob, Karen and Bill, no one seems emotionally fulfilled. There are many reasons for what’s now being called the “lawyer glut,” including that law schools ramped up enrollment and the number of lawyers in America tripled in the past forty years.5 Consequently, law school enrollment has been dropping. Elaine learned early on in her career what our nation is learning collectively now: that relative job security, even in long-respected fields, changes constantly. Elaine went through many understandable moments of fear and anger—after all, she and her family spent tens of thousands of dollars paying for that law degree, and yet she had not reaped the expected high-status, high-paying career. “The pursuit of happiness” on the job can be frustrating when we feel consumed by external pressure from peers, partners, or family; financial constraints; or internal pressure about what constitutes success. And episodic careers—where many of us switch fields or jobs more often than in the past—place more responsibility on us to be flexible and resilient, and also to champion our health and happiness. But just because we sometimes find ourselves mercilessly teased by this elusive thing called happiness does not mean that we shouldn’t pursue it. True happiness, as the Gallup study and many more indicate, is a key factor in productivity and creativity. This is not the trivial form of happiness, but the deep pride that comes from a job well done and fairly compensated, whether that job is minding small children, serving customers in a deli, or running a research lab. I think of “the right work” as work that suits you. It’s ethical, and you’re fairly compensated for it. The phrase is inspired by the Buddhist tradition of “right livelihood,” a version of which is found in every major religion and secular humanist tradition. For example, the Bible’s Book of Proverbs includes the statements “Better is a poor man who walks in his integrity than he who is perverse in speech and is a fool” and “Wealth obtained by fraud dwindles, but the one who gathers by labor increases it.” In a time of repeated financial scandals—from negligent lenders who took people qualified for traditional loans and pushed them into subprime mortgages to gain higher fees, to banks that hid money belonging to dictators and terrorists—it’s easy to be cynical about money and ethics. But most of us have the opportunity to shape the ethical environment of our workplaces in ways big and small, and we shouldn’t take that lightly. Of course, paid work is, fundamentally, a transaction between employee and employer. We are living through times where workers are increasingly productive, but employers are not raising wages. And in many cases, they are also shrinking benefit packages—sometimes even changing pension and retirement health care benefits retroactively. For example, shortly after buying the venerable but financially vulnerable newspaper the Washington Post, billionaire Amazon founder Jeff Bezos ended the pension system that older employees had relied on for their retirement years. Yes, he offered them a fund in exchange, but it was not expected to have the same stability or dollar yield as the pensions. Employees who usually covered the news made news by picketing in the streets.7 Without Bezos’s purchase, the paper as a whole might have faced a less promising future, but with these retirement changes, certain employees felt they personally faced a less promising future. Research such as Professor Van Horn’s raises plenty of questions for anyone seeking satisfaction through work. First of all, the concept of the “permanent job” is yielding to new realities of episodic employment. That can be sequential: one job or career path following the other, as in my mother’s case. Or, as is my case right now, episodic careers can also involve doing different types of work simultaneously. I am currently a journalism professor, an author, a media consultant, and a freelance broadcaster. I get paychecks, and I write paychecks. I worry, quite often, about matching the ambitions of my ideas with the realities of my budgets. I have flexibility and freedom but constantly have to ride herd over demanding projects and give each of them its due. And, of course, all of this affects my own personal finances. For now I am a writer at FiveThirtyEight.com and a visiting professor at New York University. The job decision I had to make that I mentioned in the introduction would not take me from academia but complement it, although it would require constant long-haul travel for me to do both. Nothing is perfect, and certainly it never will be, for me or for anyone. But “happy” doesn’t rely on “perfect.” It’s a paradox. Happiness, in work and life, is a state of being that comes ultimately from within, yet most of us (except the most highly emotionally trained) need certain minimum external requirements to sustain our inner glow. That can include a minimum income. For example, research by economist Angus Deaton and psychologist Daniel Kahneman suggests that there is little difference in happiness between people who earn $75,000 a year and those who earn more. (Of course, the spending power of $75,000 in Canton, Ohio, is very different from $75,000 in Los Angeles. )8 It can also include feeling respected or feeling a part of something (an employee peer group, a local community, a family, or a circle of friends as “chosen family”) as opposed to apart from something. Elaine Chen, for example, says one of the things she loves most about work is feeling part of a community of peers and, as she becomes a more senior manager, being a fair manager and mentor to younger employees. She enjoys organizing social and holiday outings for her company, and employees tell her regularly how much it means to them that she treats them as a community. Yet she switches jobs every few years, usually remaining friends with some but not all of her former colleagues. Her attitude toward “work community” is that you create a collegial environment wherever you go, but she doesn’t expect that environment to remain the same. It changes through attrition and addition even as she remains at a company. She has a permanent attitude toward work and employment, but not a permanent job. When I got laid off from my radio hosting job, I felt at a loss for how to describe who I was and what I was doing. I threw myself frenetically into multiple projects in an effort to reclaim some sense not just of what I did but also of who I was. In the intervening years, I found out something delightful: even though I faced financial challenges by not working full-time for one employer, I began to see more clearly what happiness actually meant to me, on and off the job. I returned to old personal pursuits, like visual art. I took up some new ones, like Cuban salsa. I visited several more countries and began doing travel writing. I got serious about examining my options for adopting a child. When it came to work, I realized how much mentoring of young journalists I’d done and how much it meant to me. I applied to teach at Harvard’s Institute of Politics for a semester, an honor I was thrilled to receive. Being back at my alma mater and teaching the current crop of young leaders—who took me to an improv show by a troupe I’d belonged to two decades before—filled my soul. And so I began to search for a faculty position and was delighted to get one at New York University. This is where my life can start to sound charmed and magical and privileged. It’s certainly privileged, but not easy. Even given the happy “ending” to my still-unfolding story, I’ve had to accept a level of uncertainty about my work and career path that seemed unthinkable when I was a cub journalist in the early 1990s. I’ve never faced life-altering financial distress, but I’ve drifted into and out of credit card debt when I made bad bets on how I would earn a living. Journalism, a vocation I fell in love with—and that allowed me to see the world and grow as a person—has lost thousands of jobs since I started my career. Newsweek magazine, the first place I worked and where I was trained by a series of extraordinary journalists, passed through a series of owners and redesigns, ending up with a much smaller audience and circle of influence. Journalism turned out to be even more volatile than the labor market at large. Academia fulfills my calling to teach and mentor—and, unlike my current journalistic work—offers direct deposit. I appreciate both. If I had to sum up the job market today in one word, it would be volatile, the result of technological and economic disruptions. Disruptive innovation changes entire markets, which can provide new jobs and means of growth but often displaces workers in existing industries. We humans have a tendency to romanticize or demonize the past as the “good old days” or the bad old days. As we’ll explore in the next chapter, the American workplace has simultaneously become more diverse and legally fair, and also more divided by income and wealth. How well we understand work today shapes our choices and options profoundly. After all, unless you know the current state of play—both the challenges and the opportunities—you can’t effectively pursue happiness on the job, or off. "Careers that once promised stability and security are imploding. The concept of the lifelong employer is receding into legend. 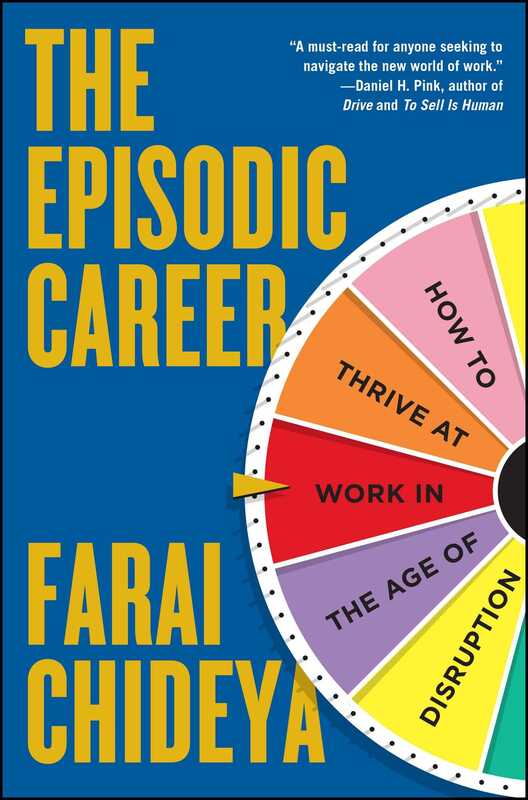 The reality is in the title of Farai Chideya’s excellent new book: Your career will be episodic and multi-faceted. Fortunately, Chideya offers guidelines and real-life examples to help you march across this new terrain. This book is a must-read for anyone seeking to navigate the new world of work." "The rapidly changing world of work is both confusing and exhilarating. The Episodic Career will help you make sense of what’s happening and give you great tools for navigating the new world of work. Chideya’s personal experiences coupled with in-depth research makes this valuable to anyone wanting more satisfaction and joy in their working life.